After a long, hot summer, the sun has finally lowered the temperature from scorching to a low simmer, there’s a brisk chill in the morning air, and schools are throwing open their gates once more: September is here. This, among other things, means that Culture Night is almost upon us. 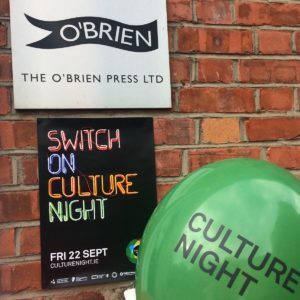 Culture Night is a relatively new venture for us here at The O’Brien Press. 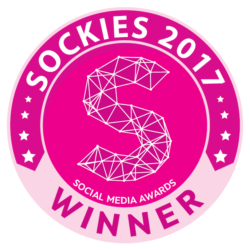 We participated for the first time in 2017 and we had so much fun at our Pitch Perfect event that we’re doing it all over again this year! Pitch Perfect is a unique opportunity to pitch directly to The O’Brien Press. We’re looking for the best unpublished writers to meet with members of our team in Rathgar for one-to-one pitches. This year, we’re on the lookout for children’s & YA fiction and non-fiction again, but we’d also like to see humour and sports (particularly GAA) books for adults. Places are limited so if you’ve got a great book idea (and think you can pitch it in ten minutes flat) we want to hear from you! For full details please see https://culturenight.ie/event/the-obrien-press/ or to make a booking email culturenight@obrien.ie. But if you’ve missed the deadline for Pitch Perfect, don’t despair. The O’Brien Press is open to submissions all year round and all potential bestselling ideas are welcome! 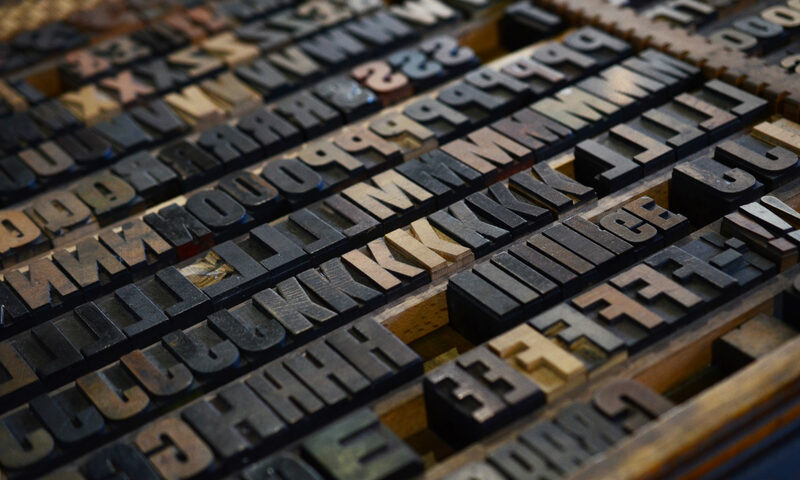 Here are some top tips and a little advice to help you make your submission stand out from the crowd – in all the best ways. 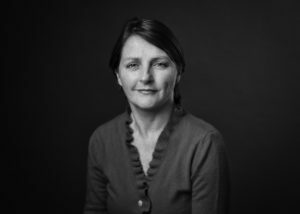 This week we had a chat with the brilliant Marian Broderick, author of Wild Irish Women and Bold, Brilliant and Bad. Could you tell us about your experience researching extraordinary women from Irish history for both Wild Irish Women and Bold, Brilliant and Bad? Researching history is an absorbing experience – but getting lost in the research is a risk known to every writer. To research Bold, Brilliant and Bad I mined reputable internet resources, walked around graveyards, galleries and museums, lived in libraries and read everything I could. Quite often I would start the day by pursuing a woman’s history – for example the legend of the murderer Darkey Kelly – become lured down a fascinating side road to gruesome executions in the seventeenth century, and spend the whole day reading about that instead! What surprised and/or impressed you about these women? My women are all multi-layered individuals. Many of them took their courage in their hands and flouted the conventions of their society one way or another during the course of their lives. This is true of women throughout history, but doubly so for Irishwomen, and trebly so for Irishwomen from less well-off backgrounds, such as Rosie Hackett and Kay McNulty. I was also interested to note just how many of these formidable women had had the disadvantage of losing a parent through death or desertion at an early age. 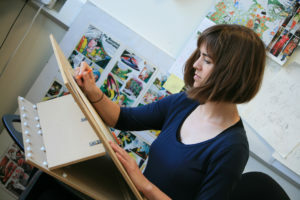 These include Lizzie Le Blond, Dr Emily Winifred Dickson, Dr Dorothy Stopford Price, Sheila Tinney, Nellie Cashman, Carmel Snow and Eileen Gray. Who are your favourite women in Irish history and why? I have a particular fondness for the feisty working- and lower-middle-class women, such as Margaret Skinnider, Rosie Hackett, Margaret Hassan, Nellie Cashman, Winifred Carney, Kay Mills and Anne O’Brien. These people overcame obstacles to achieve prominence in their chosen fields. All of us at The O’Brien Press were saddened to learn of the death of author Gerry Hunt on Friday 29 June 2018. Gerry was an architect who worked with the IDA for eighteen years. He took early retirement in 1986 to give more time to his beloved drawing. His first, self-produced, comic was a rhyming, Spanish-language work that he gave away to friends. In 2003 he created a short series of inner-city Dublin fables told in rhyme called In Dublin City, followed by his crime graphic novel, Streets of Dublin; Streets of Dublin was later included in an exhibition entitled ‘Artist’s Books’ in the Museum of Contemporary Art, Chicago. 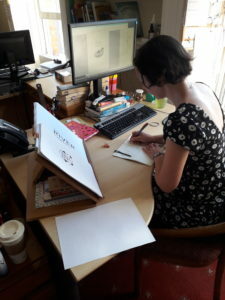 Our wonderful Editor, Helen Carr, took some time to talk to me about the her job, the books she’s currently working on, what she loves about her work and advice for aspiring editors! What is your role in The O’Brien Press? I’m a senior editor at The O’Brien Press. We’re a small company, 15-20 staff, so all the editors turn their hands to everything – I do managerial tasks, substantive editing, copyediting and proofreading, as well as working on blurbs, handling reprints and doing a certain amount of admin. I edit or manage about twenty books a year – a mix of general and children’s – on subjects ranging from fiction to current affairs, cookery to sport. There’s a great range within the children’s books I edit too; it can be anything from YA fiction, to picture books, to middle-grade non-fiction. What do you like best about your role? I love the variety. Some days I might spend mainly copyediting, while other days could be full of administration and planning. In terms of editing, I think my favourite thing is the substantive edit. I love meeting authors, talking about their books and their characters, getting a feel for the book and how we could work on it to shape it. I’ve just had a meeting with one of my authors, Ger Siggins. Ger is the author of the six-book ‘Rugby Spirit’ series about young rugby star, Eoin Madden and the ghosts he encounters. Now we’re discussing the first book in his exciting new ‘Sports Academy’ series, which will be out in early autumn. It’s called Atlantis United and it’s about five sports-mad kids who are selected for a very special and mysterious sports academy where they are trained to become the best in the world – and have many adventures along the way. It was great to talk through the plot and hear what he has planned for the characters in future books. 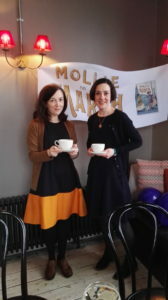 Helen with one our our children’s authors, Anna Carey at a tea party to celebrate the launch of Mollie on the March. Irish publishing house The O’Brien Press is seeking a Marketing & Publicity Intern. The position involves providing administrative assistance to the department across all areas of marketing, publicity and events and offers the opportunity to gain valuable knowledge and experience in marketing & publicity as well as other aspects of the publishing environment. The successful candidate will be energetic, enthusiastic, highly organised and will be able to work well on their own and as part of a team. They will be able to work well under pressure. They will be proficient in MS Office (Word, Excel) and Outlook. Experience with InDesign and/or an interest in social media would be a bonus. This position would be ideally suited to graduates who are seeking to gain experience in publishing, and in the area of marketing and publicity, in particular. This is a paid internship starting in late July, finishing in mid-December 2018, 5 days a week. Closing date for receipt of applications is 5pm on Wednesday 4th July 2018. This month we chatted with the wonderful Kathleen Comerford about her experience as a driving instructor, her top tips for your driving test and all about her new book Pass Your Driving Test in Ireland! What made you want to be a driving instructor? I really love driving and teaching so, it’s a perfect match. My father and my grandfather also taught people to drive, so it must be in my blood. Could you tell us 5 things to think about or focus on during your test? 1. It may sound obvious, but remember to breathe! Almost all my students forget to breath once I sit into the car, so I’m sure it happens more so when the Tester sits in. 2. Focus on the road in front of you and avoid thinking too much about what the Tester is thinking or wanting you to do. They just want you to drive safely. 3. Keep your driving as close to your natural everyday drive as possible, so you keep it automatic and natural and honest. 4. Avoid exaggerating anything like observation or mirrors in order to impress the Tester. Your checks should be timely and relevant, remember you are on your driving test, not looking for an OSCAR! 5. I teach my drivers to talk about the road ahead, which helps them greatly to keep focused and present, and reduces their anxiety levels. What is the one thing people should say to themselves before they begin their driving test? I CAN DO THIS! I’ve put in the time and practice. I’ve read Kathleen’s book so I know what to do!! It’s not rocket science. I’ll keep it safe and simple. Our sales rep Sarah, took on the challenge of recreating a Donegal Table in her home in Dublin and this is how she got on! I love to cook and believe there is nothing more enjoyable than sitting down to a home-cooked meal with family and friends so when The O’Brien Press set the challenge of recreating A Donegal Table in Dublin, I jumped at the chance! Like Chef Brian McDermott I grew up in a big family where the kitchen table was the focal point of the family. It still is and we regularly land in on my parents for a big feed! When we were kids my mam did most of the cooking and it is from her we learnt to bake – making our own pastry and filling it with delicious jam made by my nanny with whatever fruit was in season – blackberries picked from hedgerows, strawberries from the patch in the garden or rhubarb from the neighbours. When my mam went back to work, my dad took up cooking and I remember spending Thursday afternoons listening to Ronan Collins and helping get the spaghetti Bolognese ready – very exotic for an Irish family in the early nineties! Conor Kostick, author of the brilliant sci-fi series The Avatar Chronicles, chats about imagination, online gaming and the growing popularity of LitRPG. In 2003, I had an idea for a novel, which was inspired by a newspaper article claiming that the value of trades of virtual goods was sufficiently large (several billion dollars) that if it were a country it would rank greater than Bulgaria. What, I wondered, if this trend were to grow until your activity in virtual environments really mattered? What if the celebrities of the world were not sports stars and music stars, but gamers…? 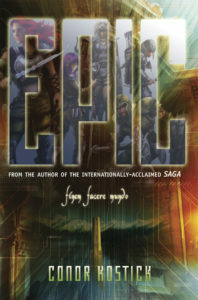 I wrote Epic extremely quickly. In all the years and books since, I’ve never experienced anything like the same immersion in the world of my imagination. It was the summer between finishing my degree and starting a PhD and I knew this free time was precious. So every evening I would write until the early hours of the morning and during the day I would edit. So intense was my involvement with the book that my dreams were filled with it and I learned the value of keeping a notebook and pen beside me. Gerard Siggins, author of the Rugby Spirit series and this year’s World Book Day book Rugby Roar, chats about the coming to the end of a series that began as a one book adventure and turned it to something bigger and better! BOOK SIX of my ‘Rugby Spirit’ series is just out, and it may just be the last of the set. I never planned it as a series – I suppose most first-time novelists don’t have the sort of confidence that your publishers will want to keep publishing them and your readers will keep reading them. 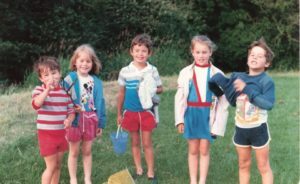 No, Rugby Spirit was a once-off, a combination of a bedtime story my son kept pestering to write down, and a historical itch that needed scratching. I was chuffed that O’Brien Press said they would like to issue it, and even more delighted that they told me immediately to go off and write a sequel. The first book concerned a boy coming to a new sport and finding advice and fellowship in the ghost of a long-dead rugby player. That character, Brian Hanrahan, was the only person ever to die playing sport in Lansdowne Road. He helps Eoin to get better at rugby, but also helped him to solve a mystery and understand more about the past. Happy 2018 to everyone! To start of the New Year we at OBP chatted to author and illustrator Sarah Bowie about her upcoming picture book We’re Going to the Zoo! What inspired you to write We’re Going to the Zoo? What was your process for creating this book?